Avgolemono, from the words avgo = egg and lemoni = lemon, is a Greek sauce made with eggs, lemons and stock from the food we are cooking. Those who like having froth in their avgolemono soup, beat the egg whites first, with some lemon juice, almost to a meringue consistency. Then they add the yolks and lemon juice and finally the hot broth. I prefer mine without the froth, so I use the eggs whole, without separating them. It takes a little practice to learn how to make the avgolemono sauce, but it is not difficult at all if you follow my instructions. The amount of stock / broth added depends on how thick you wish the consistency of this sauce. If you are making soups, use 1 cup of hot broth to prepare the soup but still there will be a lot of broth in the saucepan so the sauce will not be very thick. In some dishes, like Dolmades, when they are cooked, you may not need to add all the leftover broth from the food. In the case of dolmades reserve about one cup of broth and the remaining, if any, is discarded. Usually this sauce thickens after a while because of the olive oil or other fat contained in the dish which in combination with the egg, makes a thick emulsifier. However, if you are cooking something lean i.e. turkey or chicken mince, if you want the sauce to be thick, then add a tablespoon of corn flour (cornstarch) dissolved in the egg-lemon mixture. Some people do not add the egg whites out of fear that they may curdle but if the hot stock is added gradually while beating the eggs continuously, this will not happen. After tempering the eggs, pour the sauce in the hot food and as the eggs may still curdle, toss it around so that the sauce reaches the bottom of the pot. Let the sauce rest for about 15 minutes before serving, so as to give some time for the sauce to thicken. This sauce is mostly know from Chicken Avgolemono Soup, but apart from soups, this sauce is also used in other Greek dishes like Dolmades (stuffed vine leafs), Giouvarlakia (meatball soup), Pork Fricassée, Lahanodolmades, Kolokassi (taro), Stuffed Courgets (zucchini), Lamb Fricassee etc. Each recipe will be explained separately. 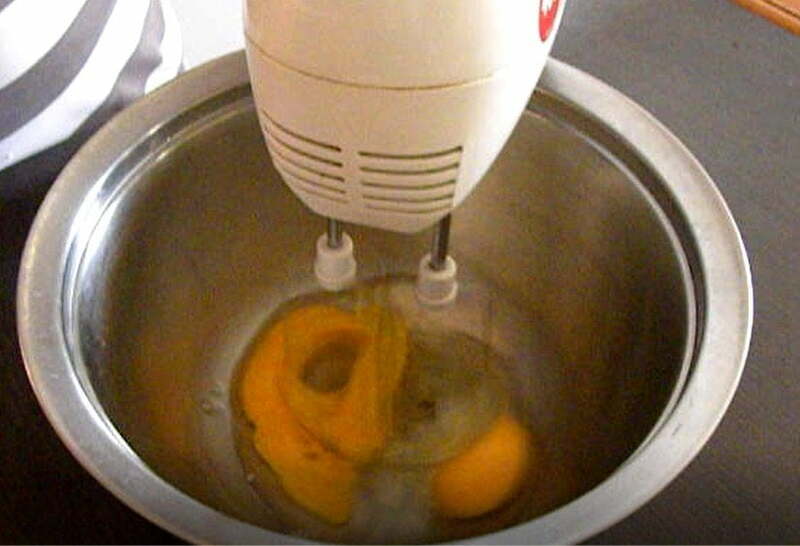 Beat the eggs with a fork or a hand mixer and add the lemon juice. Add the corn flour (starch), if necessary, and mix until it has dissolved. Turn off the heat and take broth with a ladle. While still beating the eggs, start pouring hot stock, a little at a time. Pour all the avgolemono mixture in the pot and holding the saucepan, toss it around, so that the sauce reaches the bottom. If you are making soup, stir it well with a ladle. Let it rest for fifteen minutes for the sauce to thicken. Those who like having froth in their avgolemono, beat the egg whites first, with some lemon juice, almost to a meringue consistency. Then they add the yolks and lemon juice and finally the hot broth.